Phil Leftwich, a Presbyterian pastor, who recently retired as a church executive, wrote a letter to members of an organization called The Healing Trust. This is from a recent letter to members. As president of The Healing Trust, if I have learned nothing else in 2010 it is that our primary task is to break apart the confederacy of silence that surrounds people who are wounded by sexual, physical, emotional, and spiritual abuse. The abused don't choose to remain silent. They live in silence out of fear rooted in deep shame and believing that others won't listen, will be frightened if they do talk, or will reject them if they listen to the horror of their stories. They protect themselves, even with those they trust—even with those who share their most intimate lives—because of their shame and fear of rejection. They're afraid the graphic details of their lives are so horrifying that others cannot bear to listen and will turn away. Sadly, there are still few safe places or people for the wounded to share the innermost secrets of their lives. They often can't find safety and help as hard as they try because the help is so rare. 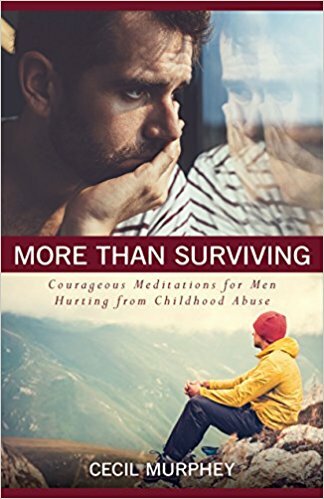 • provide the resources of support groups for men and women who have been scarred by abuse. • train and certify local counselors with a high degree of specialization in helping those traumatized by abuse. • provide scholarship fees for those who can't afford such counseling. • produce public events for educating helpers, especially pastors and church leaders, in understanding the signs and nature of abuse. • are fiercely committed to protecting children and youth from being abused through educating adults in watching for the signs and symptoms. • offer special seasonal services to give voice to the wounded in churches that have made commitments to bring openness in talking about abuse. Some are host sites for support groups that meet weekly. For many of the wounded, those groups are the first places they have ever felt welcomed and safe. Last year, I participated in a service called "Grace for the Wounded." I vividly recall the church’s pastor standing in the rain as night was falling around us. Although “church” had been the place of their abuse and shame, he assured two women who were on the edge of taking a giant step back into a church that they would be accepted. The pastor shared that he understood because he had also been abused and his church was a safe haven. He accompanied them into the church’s chapel with gentle and inviting warmth that allowed them to know that they were safe in that particular sanctuary. As a pastor, I cling to the term sanctuary that derives from the Latin, Sanctus, or holy. We know that sanctuaries, whether churches, our homes, or places of retreat, are supposed to be holy spaces to protect and shield us from many of life’s hardships. They are meant to be holy ground that reviles the sickness and brokenness of the world. They are intended to allow the freedom to share life’s deepest hurts. They stand as places of healing and comfort that lead us into becoming the healed and whole people God wants us to be. —Contact Phil at pwleftwich (at) yahoo (dot) com or Dr. Max Haskett at m44haskett (at) comcast (dot) net. The subject of sexual abuse is a topic that is difficult to talk about for a man and even to admit that it happened, takes courage. This video is posted on Cecil Murphey's blog. In his blog he talks about his own abuse and also posts the stories of other men as they process what occurred in their own lives. For a long time I found that talking about what I remembered about my own sexual abuse seemed like I was telling someone else's story. I knew it was real but over the years I had learned to be numb inside. My feelings were numb and my desire to love and trust were something I had difficulty embracing. Even being remotely close to a woman brought on a desire to keep my distance in the fear that I would not be safe. Even now it is still hard to put into words how I 'feel' in these areas I have mentioned. Getting past the past is something I face each day, some days easier and some days not so easy. I am so thankful that I can lean on God who I know is carrying me and has carried me through so much turmoil concerning things such as sexual abuse. God has given me a resilience inside to get up when I have felt at the bottom. I really want to pray for other men who face such challenges when confronted with sexual abuse in their own lives. I know how it feels and we shouldn't have to feel alone. Lord Jesus, help my brothers who have been sexually abused. Help them to know that they are not alone, that they can be free to talk about it, to tell someone. Help them to see that they are loved, that they are worth every effort to be whole, that they can be free from the past. Amen. 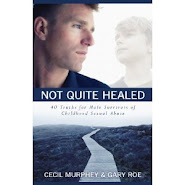 Kurt Goff of Family Life interviewed Cecil Murphey in January. He gave us permission to share his blog post and a few comments from listeners. See the previous post to read what Kurt Goff had to say. (From Anonymous Wife) THANK YOU, this is such a challenging subject and so hard to find resources on. Praise God, this is such a great answer to years of praying and struggling with this exact issue. (From Bruce Hughes) I recently finished writing my own story of childhood abuse and telling about my journey to victory from the years of pain. I was amazed at the similarities between Cecil's descriptions and my own. I never thought that I should talk about it, but now that I have I find it hard to stop. God's grace has overwhelmed me and given me a new outlook on life. I too hope to be able to share with others the great relief I have found through my healing. (From Sarah) Thank you, Cecil for sharing your story and thank you, Kurt for posting this interview. I heard a tidbit on the radio on my way to work this morning and my heart broke for these men. With abuse in my past as well, I thought back to the first few times I shared parts of my story with friends at slumber parties and such. A bunch of girls whispering in a room, stepping out gingerly with our pain-filled memories. But we supported each other and I soon learned I wasn't alone. I thought about my brothers and other male friends and realized that opportunities like that are far more unlikely for men to come by. Men aren't eager to be vulnerable with one another like women are. I don't know what I would have done if I couldn't have talked about my past. I hope and pray that things like this will open doors for men to be able to speak and support one another over similar issues. God bless! 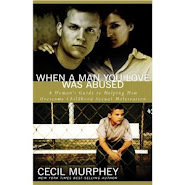 Kurt Goff of Family Life interviewed Cecil Murphey in January. He gave us permission to share his blog post and a few comments from listeners. (From Sam) Thank God for this. I have been abused and have been recovering from it. Trust is so so hard. I have a hard time trusting and believing people will be good and have the best intentions...God is Great and Gracious. God is timely too. Cecil in the interview talked about Joseph...God has been having me read devotionals, and walking me through the Joseph story right now. (From Anonymous) thank you... the lord has used this in my life today. I have suspects that my husband has been abused, and it has greatly affected our marriage. I am praying for healing in his life, and that he would be able to disclose the information to me. just trusting God for this pain. About 18 months ago I began a process I call personal transformation. I am moving away from victimhood toward survivorship. To this day I am not free of anger and bitterness. My dad robbed me of my life when I was six or seven years old. I hate him. My friends keep telling me to forgive him and maybe I can one day. But I can't do that yet. Maybe one day I can.